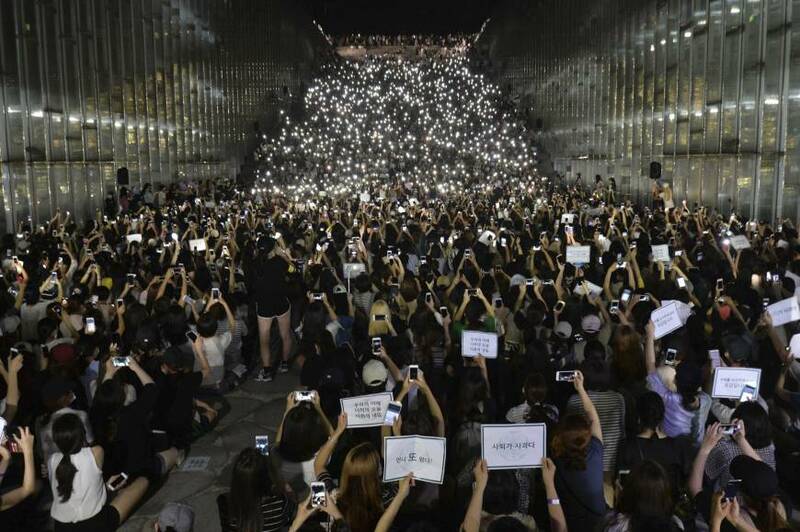 SEOUL - When the Constitutional Court removed South Korean President Park Geun-hye from office last week, there were waves of social media messages thanking students at a university in Seoul for sparking the historic change. Last summer, months before the public learned about a shadowy adviser behind Park, Ewha Womans University students gathered on the Seoul campus to protest something that initially seemed unrelated to national politics: the school administration’s decision to create a new degree program. 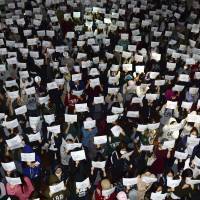 Ewha, considered the country’s top women’s university, soon withdrew the plan, but the students did not stop there, pressing on with their sit-in to urge the school president’s resignation. 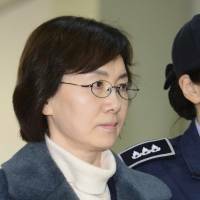 The efforts to topple the university president ended up uncovering a crucial piece of the puzzle in the political scandal that eventually brought down the country’s leader: the school’s favoritism to an equestrian athlete who turned out to be the daughter of Park’s secretive confidante, Choi Soon-sil. The extent of Ewha’s favors to Choi’s daughter, Chung Yoo-ra, was further investigated by South Korea’s parliament and a special prosecution team. Seven school officials, including its former president and several professors, were indicted on criminal charges, and Chung’s admission to the university was canceled. The episode struck a nerve in the country, where many young people work hard to get into a prestigious university, and unleashed the massive popular movement that would help unseat Park, who was impeached by parliament in December and formally removed from office by the court on Friday. 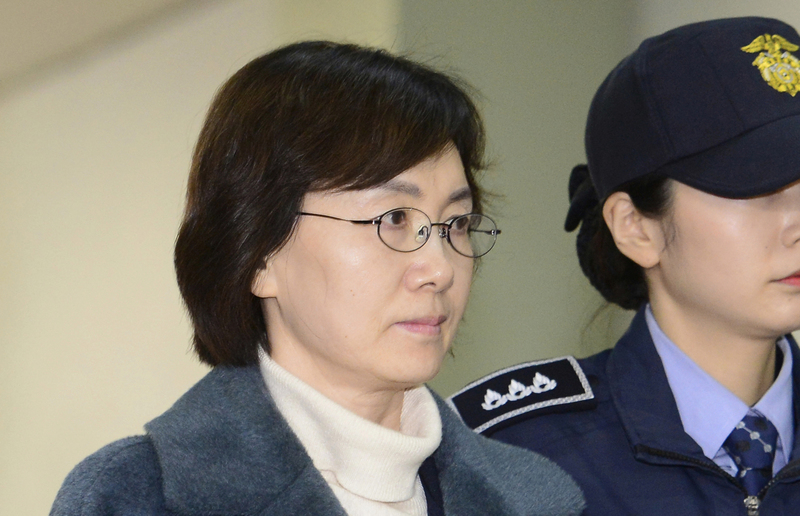 Park is accused of colluding with her confidante to extort money from businesses while allowing Choi to pull government strings from the shadows. 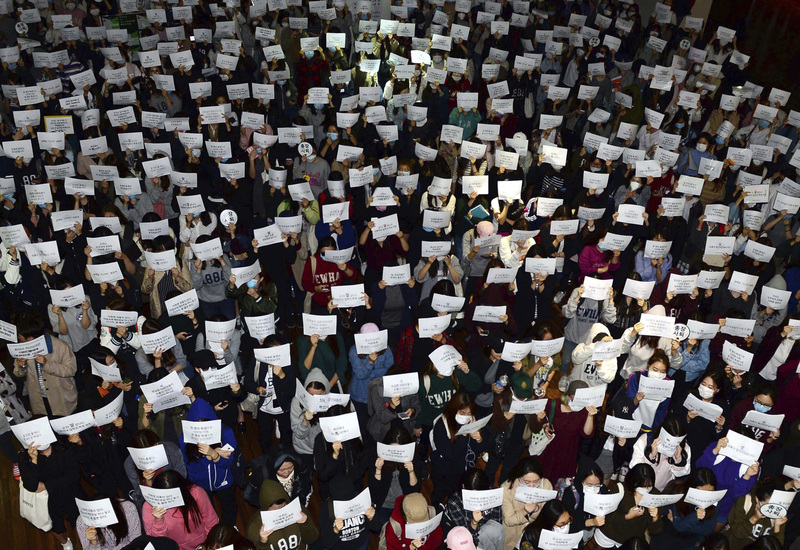 “It was a total surprise for us to discover Choi Soon-sil’s link to the school,” said Kim Ji-Eun, a 1994 graduate of Ewha who joined thousands of students and alumni to rally against the university’s president. “Ewha protests were the key to the impeachment,” said Lee Taek-gwang, a professor of cultural studies at South Korea’s Kyunghee University. Without them “things would not have moved so quickly,” he added. The students, covering their faces with baseball caps and masks and standing arm in arm, burst into the popular K-pop song “Into the New World.” The choice of the song — the debut single by Girls’ Generation, a South Korean girl group — surprised many former student activists, who had memories of rallying against the country’s authoritarian leaders with protest songs as police fired tear gas at them. 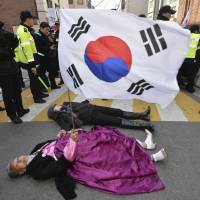 The police intervention convinced many Ewha graduates to join the protest movement. It also triggered larger questions about what made Choi Kyung-hee, the Ewha president, call for the police action, and caused the students to dig deeper into her possible wrongdoings. In October, Choi stepped down. But suspicions that Chung, the equestrian athlete, had received special favors from the school grew. “When I saw the police crackdown, I realized there was something very violent in the university’s policies and this wasn’t simply about injustice on campus,” said Kim, the Ewha alum. Kim, who attended the university while pro-democracy student activism was still alive in the 1990s, said she understands why, even after the outpouring of messages thanking Ewha students following Park’s ouster, many of them remain anonymous. “I felt that the students in their 20s today were afraid that expressing dissent can take a toll on their career and life,” Kim said. For previous generations of student activists, their activism against South Korea’s former authoritarian government was nothing to hide, and sometimes was even an asset in their search for a job. 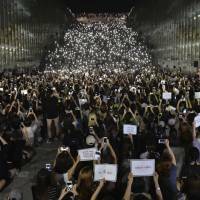 But younger South Koreans are more familiar with stories of activists who are stigmatized by their dissent even though freedom of speech is protected as a constitutional right. Park’s former presidential aides were indicted for allegedly blacklisting journalists, artists and politicians for their critical views of the government and denying them government funds. Before Choi Soon-sil’s Ewha link emerged, the student protesters were not always welcomed by the public or the media. Some saw them as students at an elite university trying to protect their exclusive community by urging the cancellation of the new degree program, which the protesters said had been introduced secretly without consulting students. 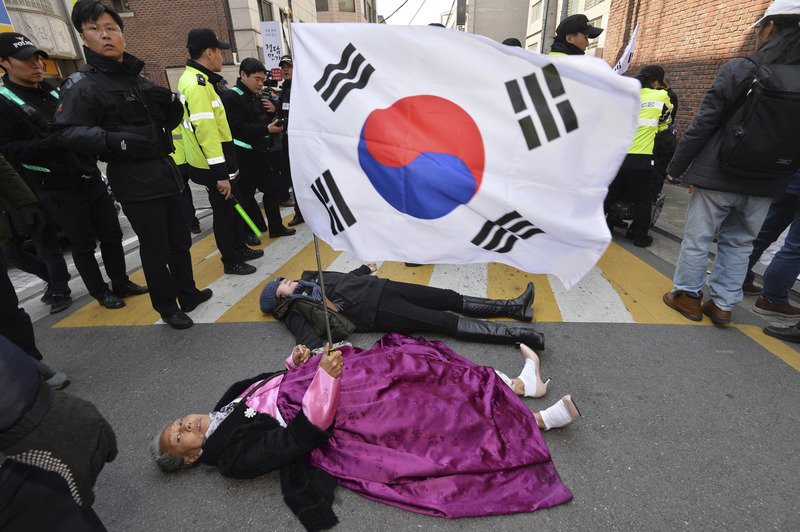 Even though Park, the country’s first female president, saw a disgraceful exit, South Korean women saw her fall as a victory for women in the country because the movement that forced her out was started by the Ewha students. Kim said she would never forget the special bond among the women during the sit-in, with students from across generations calling each other “friend” — something that she and others did not experience during earlier protest movements, in which hierarchy and leadership structure were rigid.